It was a lovely day today, considering it’s mid-January. The sky was mostly-clear and sunny and, though very windy all day, the temperature hovered around 50 degrees (F). It really did look and feel like a fine day in March. We are expecting a rather dramatic change in the weather around here. The temperature is expected to gradually slide from today’s high to single-digit lows over the next few days. We may also get another dose of snow midweek. This evening’s sunset was lovely, even as it portended the coming changes with a lovely burst of sun, a patch of blue sky, and encroaching quilted clouds. 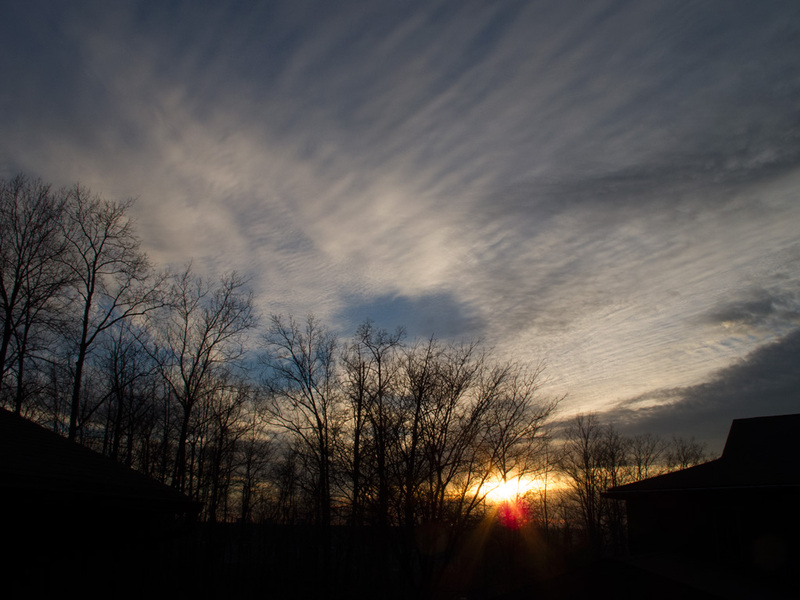 Tonight’s sunset was the end of a lovely day and marked the beginning of hard winter weather.